Roads can play a very important role in connecting people of a country. It makes it easier for people to access the resource which is very far away. Therefore the availability of good roads in the country will enhance economic development. In fact, the availability of good roads in a country is more beneficial to society as a whole. An example is that the travel time is reduced by the smooth road surfaces. This responsibility of road paving is not for the government alone. Even private individuals can be involved in the process. It can be your own parking lot in the house compound. 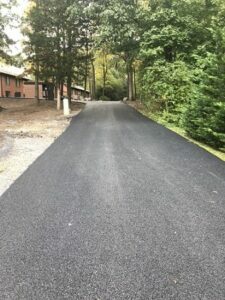 In this article we will discuss road paving, in general, you will be surprised that road paving is also done around us by individuals.in this case we mean they are funded by the individuals. This article aims at giving you the general knowledge about road paving. We will discuss the process of road paving, the types of pavements before we going into some of the pavements that individuals can build. Therefore if you are getting the knowledge to start constructing or just for the sake of knowing you are in the right place. This article is for you. How Is Paving Of Roads Done? First, you might ask yourself what is road paving? In defining this term I will start by definition of paving. Paving is the act of making a surface hard and flat. Therefore, road paving is the making of roads surfaces hard and flat for traveling. Road paving did not start yesterday it’s a process that has been refined by different people over centuries to come up with what you actually see. The oldest paving done by human’s dates to around 4,000 bc. These were constructed by the Mesopotamians. Depending on the materials used on the surface course, road pavements can be classified into two ways. Flexible pavements, and rigid pavements all these are discussed in detail below. We will give the advantages and disadvantages of each type of road pavements. The distinguishing feature of this type of pavement is that it’s made using bitumen which is obtained from crude oil. Below the surface course is all the other three layers the sub-grade, sub-base course, and the base course. Materials with a high degree of strength are usually near the surface of the pavement. Majorly around the base course. These types of roads are very famous and can be found in many countries of the world. The reason could be due to its low in constructing costs. These flexible pavements are made in such a way that the weight of the vehicles is transmitted to the bottom layers. Roads can be used 24 hours after construction. They are cheaper to construct as compared to other road pavements. Deformations caused by heavy wheeled vehicles can be recoverable. They require maintenance nearly every year. Therefore, they are costly in the long run. However, these repair costs are relatively cheap. There is a general fear of a rise in the price of bitumen in the future. This is because of the forecasted decline in the supply of crude oil in the world. It has a short lifespan. Most of the weakness of these types of roads are as a result of using bitumen. Bitumen will react differently with variations of weather. For instance, an increase in temperature would cause it to melt. On the other side, low temperatures would cause bitumen to freeze causing cracks. However recent researches have shown that this could be reduced by use of a chemical reaction modifier. They are sometimes referred to as concrete pavements due to being made of concrete. These types of pavements will have two layers before the surface layer made of the sub-base and the base course. The weights of vehicles are transmitted over a wide region. Concrete is not affected by weather conditions such as which temperatures and cold temperatures. Has a long life. The cost of maintenance is lower as compared to flexible pavements due to the frequency of maintaining the roads. However, an instance of a maintenance cost is higher than of flexible pavements. Saves on the stone aggregates to be used in other layers. One its major characteristic is the high initial cost. 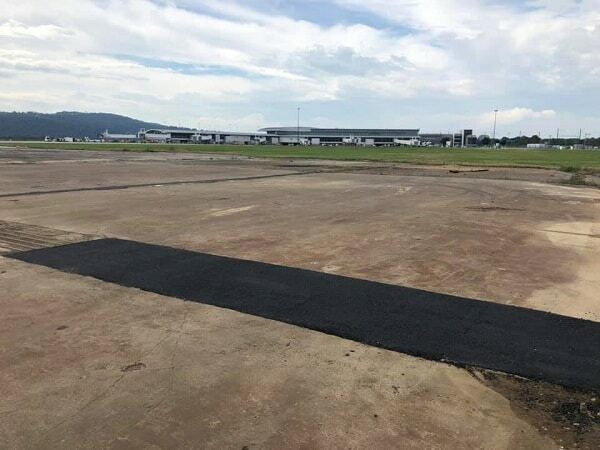 It will require more curing time after its construction a minimum of one day for anything to be plying on the pavement. For places with high traffic, this curing periods might not be observed. In some instances, joints are required for expansion and contraction. Deformations due to heavy wheeled vehicles are not recoverable. Therefore rigid pavements are ideal when there is plenty of money and in places where there are low traffics. The process will involve some steps which are explained below. We have given the simplest of these procedures. They have been simplified to three: the planning stage, excavation and earthing and paving. However simple they are this is what actually happens in the real world. These simple steps will take even years to finish. As most philosophers would argue that every good thing in this world started with an idea so is the process of road paving. There is the planning stage where everything is put into the paper before anything starts. This done at this stage are approximations of what will happen during the latter stages. Some factors are taken into consideration here like how many workers are needed. What is the estimated cost of the process and determining the weather conditions during the road construction? The process is never a simple one. The approximations have to be done in such a way that they don’t deviate away from the real outcomes. Generally, all things are laid into a paper. Nothing has started in this step. This is where the initial road construction process begins. Most of the land surfaces have bushes, shrubs, and grasses. These are what we remove at this stage. Once they are removed, the process of mounting and grading can begin. Mounting will give the road its shape while grading will make it level. Generally, what this step does is the preparation of the road for the next procedure known as paving. This is the final procedure in the process. At this step, the concrete or bitumen is poured onto the surface. The process here is to make it flat. However, there are some other layers which are laid first before this last step of pouring bitumen or concrete. These layers are, sub-grade, and sub-base course and base course. Depending on the type of pavement one is omitted. For flexible pavement, all the layers are included while for rigid pavement only two layers are needed. The sub-grade layer is always omitted. This is the layer at the bottom. The material used in this layer should be free of organic matter so that it can easily be compacted by a roller. It is the second layer from the bottom. It is usually made of granular materials. And can be omitted if the sub-grade is of higher quality. The quality of this layer will ensure a road with low maintenance. The materials used for this layer is unbound granular materials such as stones and concrete. It’s the layer immediately under the bitumen on the surface. It’s a layer that is always subjected to loading pressure. Care should be observed in this course. The most common ones are driveway paving and parking lot paving. This types of pavements have one thing in common in that they cannot go for long kilometers as compared to the general road pavements. They can even be in your own premise. They can, therefore, be said to be private property. They are still maintained by the individuals themselves. Having a nicely paved driveway is very important for your home as it could increase the value of your home. Basically, everything used to make these pavements comes from what we have discussed above. The type of paving will depend on the type of materials used but as before we had cited as being made of either tar or bitumen. These types of pavements can be made to look beautiful depending on your own needs. So it’s therefore wise to consider the advice of an expert when making such a decision. The price of the driveway pave ways will vary depending on the paving companies that you choose. Sometimes the price will be significantly higher if you had no ready-made road. But if you consider the factors that we had given you above you surely should come up with the right company for this job. From here now we give you the basic knowledge needed by anybody who wants to construct any of those two. First, we give the factors to consider when selecting a road paving and we will give you reasons why to consult an expert. Price is always a common factor when we want to acquire anything. Most of the times we are going for those that are cheaper. According to experts, it’s better to incur more initial costs and acquire something that has good quality. But if you are considering choosing a paving company there are other factors that are more important than the price that should be considered. Below we will give the factors to consider when trying to come up with a good decision. For a high-quality service, the provider must have the necessary equipment needed for the work. Always check if the company has the right types of equipment for the job. This will go a long way in ensuring the quality of the paving company. b. Is the company insured? Insurance should be a necessary requirement when choosing a road paving company otherwise you might find yourself incurring other costs that might arise from accidents. To avoid such costs ask if the company is insured before any proceedings. Some companies will ask you to pay a down payment. You should not pay any down payment to a paving company. Unless the construction will incur above $10,000. Reputable paving companies never ask for any down payment. The reason why you are discouraged from making a down payment is to prevent your money landing into the hands of fraudsters. Sometimes, if you pay the down payment. Here you should consider the quality and quantity of labor Hired by the company. It should have a qualified work staff and the number of work staff should be enough. Qualified work staff will guarantee you that the company offers quality service. Having the right number of workers will stop you from having delays as to when the project should end. For anything that you are trying to do it’s important to consult the experts about it. Always ask the experts before venturing into anything they can offer you valuable advice needed to succeed in that venture. The importance of experts in this process cannot be undermined. Paving experts will help you determine which type of road pavement is suitable for you. Basing their knowledge on the types of road pavements and where they are ideal they can help you decide which the best is for you. They can help you pick a paving company. Since experts have been in the industry for a long time, they have the knowledge of the various legit paving companies in the market. They can offer you advice on which companies offer the best quality service and at a fair price. In short, the streamline things for you. However, having just an expert is not the solution. You have to get the best experts in the market to get something good. You should check for work experience and qualifications in the construction industry. As can be seen, road paving is not a hard concept. It’s much simpler than you ever thought. 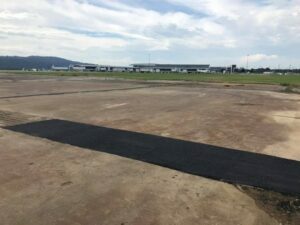 But the process will require you to be in contact with experts if you really want to get something good if you want to construct a road pavement. The process is never a cheaper one. It will incur your costs but it’s worth it.